Picking a defaulter as an advisor, right decision of PM Khan? Christine Lagarde, Managing Director of the International Monetary Fund (IMF), met today with Prime Minister Imran Khan of Pakistan in Dubai, in the context of the World Government Summit hosted by the United Arab Emirates. 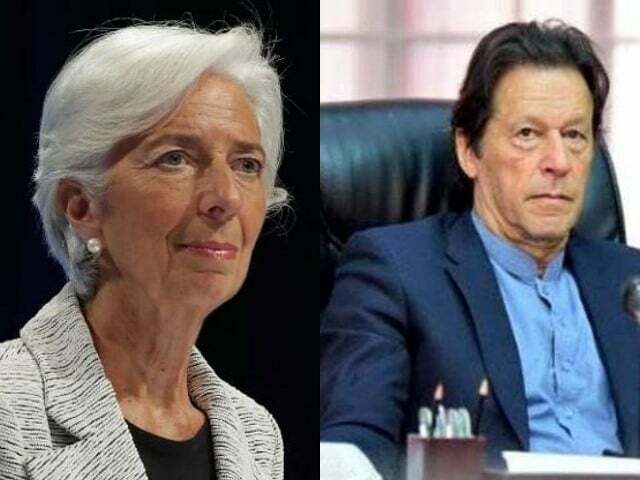 Following the meeting, Managing Director IMF, Christine Lagarde said, “I had a good and constructive meeting with Prime Minister Khan, during which we discussed recent economic developments and prospects for Pakistan in the context of ongoing discussions toward an IMF-supported program”. PM Khan arrived in Dubai on Sunday accompanied by Finance Minister Asad Umar and Information Minister Fawad Chaudhry. Speaking to a British media outlet, Chaudhry had said that the meeting will help Pakistan understand the IMF’s point of view and allow it to present its arguments. The problem isn’t with the IMF deal, he explained. It’s with the conditions that go along with the financial aid package, he said. We don’t want a deal that compromises Pakistan’s progress, said the information minister. He said they want a fair deal that can help Pakistan in the short-term without affecting our long-term goals. PM Khan will also be making the key note address at the World Government Summit where he will underscore Pakistan’s strong interest in the knowledge economy, artificial intelligence, green development and the importance of innovation for growth. He is also expected to highlight his vision for a strong and prosperous Pakistan to encourage investment in the different sectors of Pakistan economy.